2017 has been an interesting year for extreme politics. Both radical left and reactionary right ideas have entered mainstream discussion. On a single day, you can expect a very average news station to cover stories that touch on the failings of capitalism, as well as the increasing power of Neo-Nazis. It’s just that kind of year. That’s why, when an issue such as the removal of statues comes around, it’s important to take a discursive view, and not simply leap headlong into dogmatic answers. The overlap between extreme right and left may be minimal in content, but there can sometimes be a similar vociferous tone, which makes their answers at least sound the same. Let’s take the Taj Mahal as a litmus test. Hardline Hindu nationalists (who are in power) want to marginalise the Taj from Indian history. They claim it is a symbol of the Islamic oppression of the Hindu nation. Therefore, to reclaim the true history of India, Mughal architecture and history should be excluded. It is not ‚true‘ history. There is obviously a lot to unpack here, but since so much of 2017 has been about the nature of public symbols and their connection to history, it seems appropriate to ask what the difference is between the Taj case and the removal of statues of Confederate luminaries in the US. On the surface of it, there is an obvious parallel: both the white supremacist statues in the US and the Taj Mahal recall times of oppressive power alignments. The Mughal Empire was oppressive, Hindus were treated as second-class citizens (in an already caste-dominated society), and there were atrocities committed against Hindus and other groups on a religious basis. White supremacists of course enslaved and tormented black people for centuries, first as slaves, then as second-class citizens. Therefore, marginalising and tearing down these monuments is justified, even if the Taj Mahal is incomparably more beautiful than any statue anywhere. Well, it’s true that the cases are similar, but not in the way outlined above. Both illustrate instances of a powerful group trying to distort history, and celebrate oppression. The hardline Hindu nationalists are already in power in India – and their support for marginalising the Taj Mahal is born of a desire to isolate and marginalise Islam and muslims. They cannot tolerate that something so beautiful such as the Taj exists, since it the product of an Islamic background, and not a Hindu one. 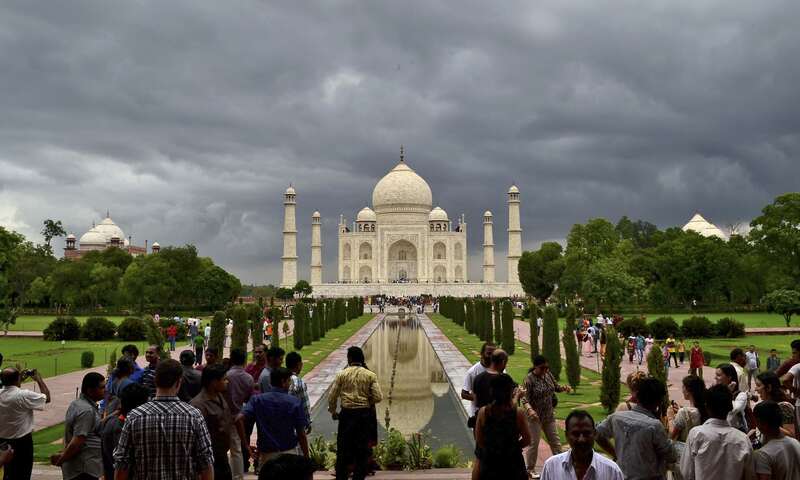 The categories used to describe history make no sense: India never was a wholly Hindy country, nor was it ever understood that the Taj itself is an ‚Islamic‘ monument. Furthermore, yet nationalists justify this isolation through the specious writings of the risible PN Oak – a ‚historian‘ who argues that once much of the world was ruled by a superior Hindu elite (sound familiar, Nazis?). Just like the white supremacists in the US, they wish to support monuments that justify and celebrate oppression, and destroy those demonstrating diversity and pluralism. The Taj Mahal is a monument more beautiful than any ideology or sordid thought the nationalists could ever muster. I sincerely hope India does not go the route of the Babri Mosque, and destroy another gem of its very real, very Indian history.